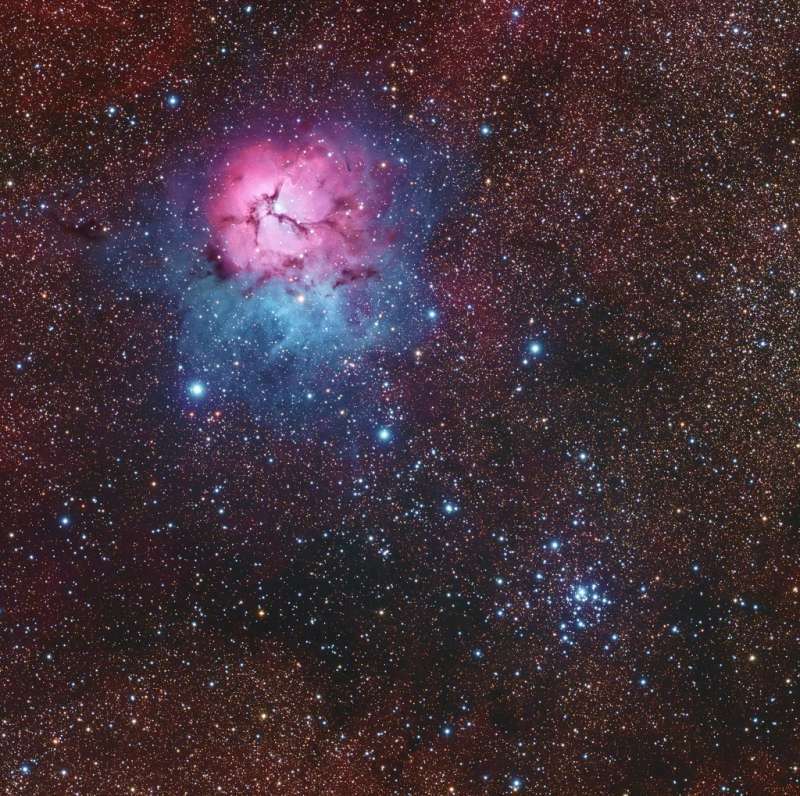 Explanation: The beautiful Trifid Nebula, also known as Messier 20, is easy to find with a small telescope in the nebula rich constellation Sagittarius. About 5,000 light-years away, the colorful study in cosmic contrasts shares this well-composed, nearly 1 degree wide field with open star cluster Messier 21 (bottom right). Trisected by dust lanes the Trifid itself is about 40 light-years across and a mere 300,000 years old. That makes it one of the youngest star forming regions in our sky, with newborn and embryonic stars embedded in its natal dust and gas clouds. Estimates of the distance to open star cluster M21 are similar to M20's, but though they share this gorgeous telescopic skyscape there is no apparent connection between the two. In fact, M21's stars are much older, about 8 million years old.